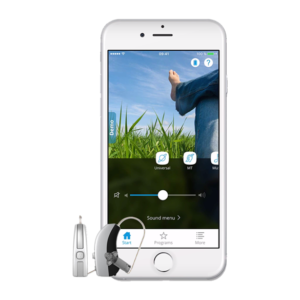 Our Rupert, ID, Hearing Aid Experts Answer – What Is a Hearing Aid? The microphone picks up sound. 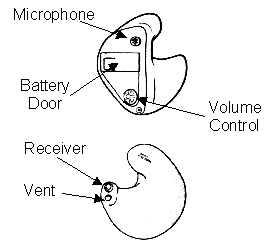 Inside the hearing aid is an amplifier which adds to the sound, and a receiver (or speaker) which transmits the sound. Additional features that could be available depending on the model include vents and volume controls. There are many different hearing aid styles to choose from, and the choices should be based not just on aesthetics, but also based on a person’s hearing loss and their communication needs. Today’s NeuroTechnology™ devices aren’t simply amplifiers, they are advanced miniature computers which add to the incoming signal from the microphone according to prescriptive algorithms based on the patient’s hearing loss, and other factors. There are potentially millions of different settings possible in each hearing aid…and many things that can be set improperly. This is why having hearing aids adjusted by a professional is so important. To make sure your prescriptive fitting is appropriate, we combine thorough testing with real-ear measurements (tests that measure the output of the hearing aid and take into account each individual’s anatomy), and of course, feedback from the patient. Hearing aid fittings are not something to take lightly! Each manufacturer takes years to research the custom designed computer chips inside modern hearing aids, and all of this comes together to help our patients hear better. Our office offers treatment plans to accommodate our patient’s varied needs. Which level is appropriate depends upon the type of hearing loss, communication impact, and lifestyle needs. There are risks and benefits to hearing aids. If fit improperly, hearing aids may cause more hearing loss. This is why it is crucial to be fit by an experienced and licensed doctor of audiology or licensed hearing instrument specialist.